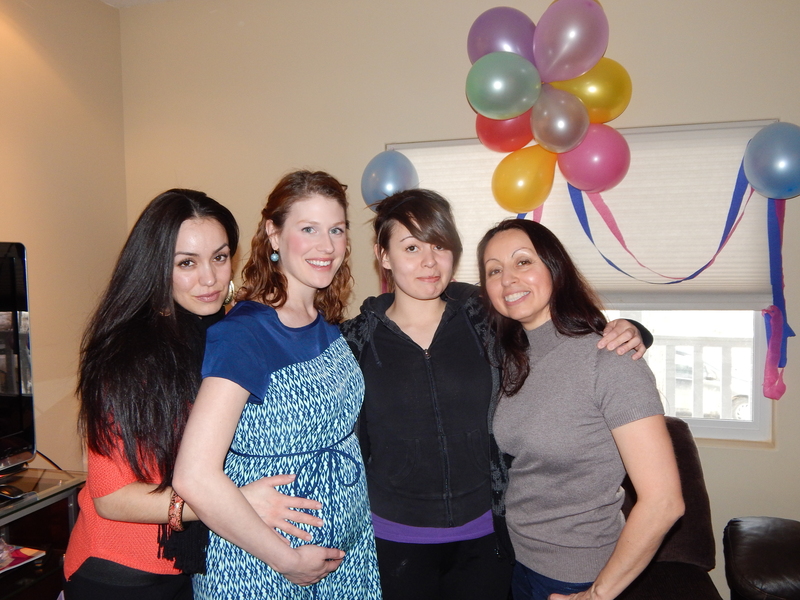 Despite the nerves, it sounds like it was a wonderful baby shower. I’m so glad you got to celebrate it with your family and loved ones. You look amazing too. And yes, the treats are so yummy!! I both loved my shower and was completely overwhelmed by it. 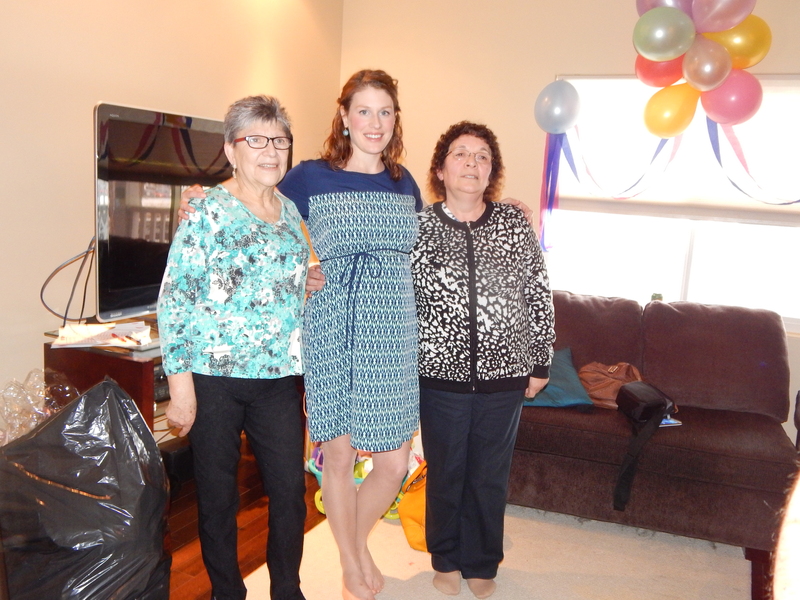 Far more so than I had felt for my wedding shower – I didn’t have to work so hard to fall in love, I guess. 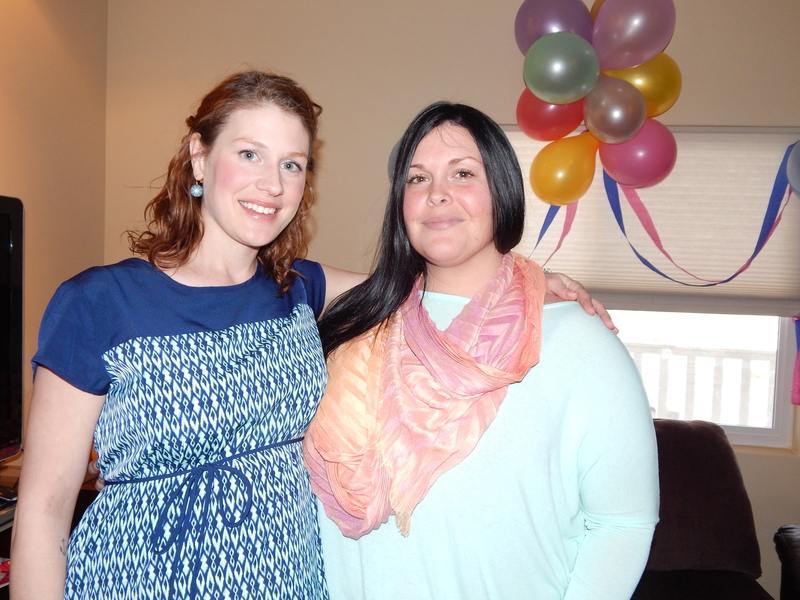 Yes, I was a little uncomfortable at my wedding shower, but it was nothing compared to the baby shower! I’ve had cajeta before which is also delicious but this is not made from cows’ milk. They are both delicious though! What a lovely shower! So glad your baby is already receiving so much love! It’s wonderful to be surrounded by love! Infertility can be so lonely. OK to be nervous too! Yes, it’s a great feeling to be surrounded by love! You look gorgeous, I love that dress! 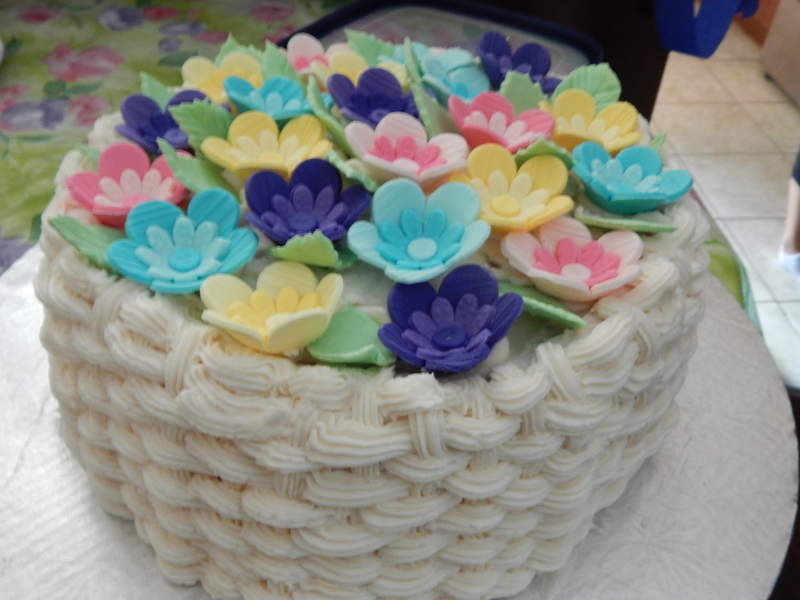 And the cake looks amazing. It sounds like it was a wonderful day, I’m so happy you were surrounded by the ones you love! I did not have a baby shower, but I can tell you that the waves of love, prayers, presents, thoughts that we have been receiving since baby Yu’s birth is overwhelming. I felt similarly anxious during our wedding, I think it has to do, like your mom says, with being the recipient of so much love and thoughtfulness. We are so grateful, and I am sure you are as well. Those Chilean desserts look delicious. I do hope you ate that lovely cake later! And you look beautiful! I cannot wait for my baby shower! I don’t think I will be nervous but I admit I am an attention whore, lol! I am glad you had a nice shower, you deserve it! I can’t decide what to comment on first…you or the desserts!!! Ok you. You look so beautiful! Like you are meant to be pregnant. Gorgeous. Also, don’t worry about feeling overwhelmed. I didn’t read all of your comments, but I’m sure everyone said the same thing – that’s normal! I remembering feeling like it was my wedding day or something. I too felt guilty that I didn’t spend enough time with everyone or thank everyone, but they understand! I’m glad so many people felt similarly emotional about their own showers. I thought I was the only one! I pretty much felt the same way at my shower. So overwhelming! I still regret that I didn’t take any pictures because my aunt did such an amazing job of decorating. I know there were plenty of people at my shower I barely had a chance to talk to and I felt bad about it, but they all understand. But, opening presents in front of people like that? So awkward! I’m so glad it’s not just me who felt completely awkward/unnatural. See, that’s why I love blogging because if I never wrote about it I’d think I was the only one! Okay, the first thing I thought was how cute that dress is! I know you are petite, but for some reason I always think you’re almost as tall as me (5’7). It’s funny I noticed you were taller but didn’t think much of it.I know everyone said it, but I am drooling over thoughs treats too! And yes, you and Mom are a few inches taller than me. I wonder how tall Sofia will be! Awe, beautiful pics. What a sweet time and how nice of them to celebrate you in such a special way! So glad you had a beautiful shower!! I don’t really like to be on the spot either, opening presents in front of people and being worried whether I show the proper appreciation for the gifts. I do great in front of people giving a peaches, but social situations are very awkward for me. You look great and I love the dress. The cake looks amazing, but the other deserts look scrumptious!